Let me backtrack so you'd understand. I've never been more conscious about my skin until late last year. 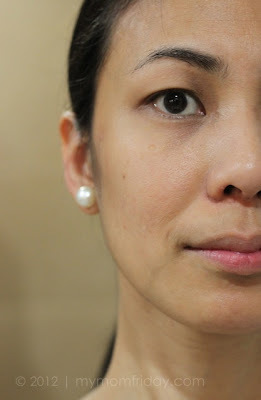 It just hit me one time when I saw fine lines around my eyes and dry flaky patches on my face which, according to Dr. Feliz Palma of DermaPro, is called seborrheic dermatitis (don't worry, they're not contagious, heehee). I then decided to change my long-time skin care regimen and tried different products that can help improve my current skin condition. I also indulged in facial treatments but never went to consult a dermatologist. The last time I religiously went to one was during the six months leading to my wedding day 10 years ago. You see, I developed pimples and acne in my late 20s and those stubborn zits plagued me for years until my first pregnancy. Before and after that period, I just did not care much about my skin. 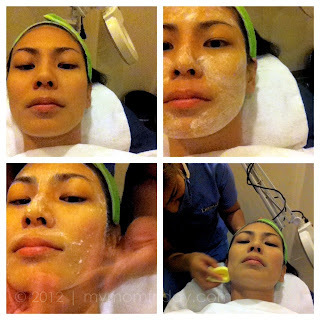 The noticeable changes made me start to seriously be more conscious of my not-so-healthy skin. Seeking professional help was not in my priority list but the opportunity presented itself several months ago with an invitation from DermaPro Skin Care Specialists. It was only last month that I was able to visit this new skin clinic in my neighborhood. Perfect timing, and perfect location for me too since it's just a few minutes away from my place. 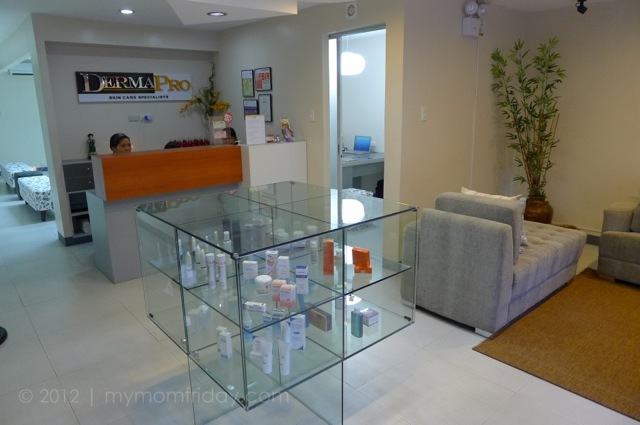 DermaPro is dedicated to superior patient care, aiming to provide medical based skin and body care treatments in a relaxing and soothing ambience. Services range from general medical dermatology issues to a variety of aesthetic services for anti-aging and promotion of healthy skin. 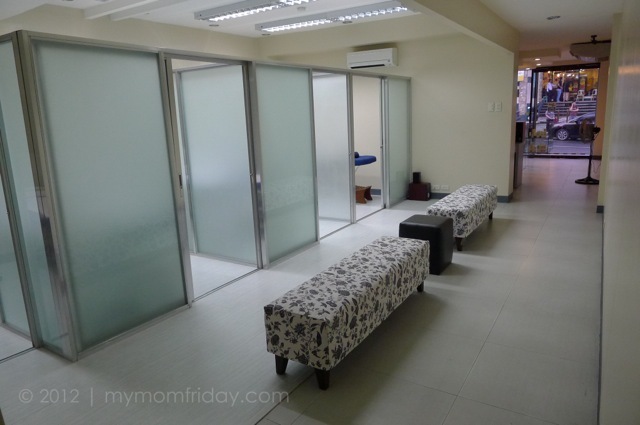 Given the proximity of the clinic, the inviting and "non-clinical" ambiance, I immediately felt comfortable and excited to try their services. It's been months since my last facial so I badly needed one. After a detailed consultation with Dr. Palma, she took note of my main concerns, gave me a prescription for my itchy patches, and had me scheduled for a facial. I was choosing between their Anti-Aging or their All Natural Facial (PhP 950), which is chemical-free, hypoallergenic, perfect for pregnant and lactating women or for those with sensitive skin. Well, guess what I chose. Best suited for skin with fine lines, wrinkles, and dark circles. It includes an intensive moisturizing treatment with a soothing massage, followed by use of an age-defying mask containing vitamin C and collagen. Last step - a serum containing collagen is applied. 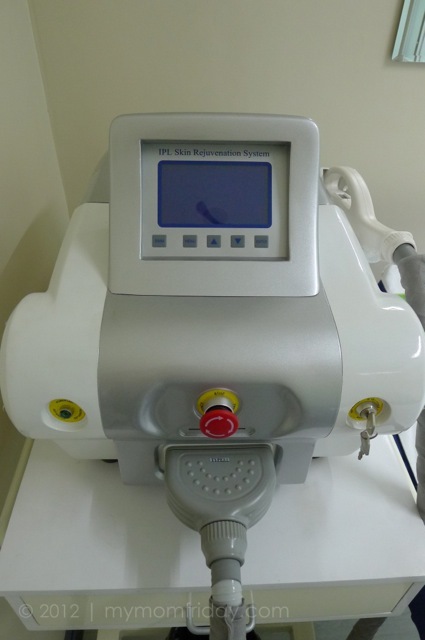 This treatment will result in supple, younger-looking skin. With my current skin condition, the Anti-Aging Facial was the perfect choice. It was a relaxing 45-minute session with a step-by-step explanation by my aesthetician. We began with basic cleansing, then scrubbing with light massage, followed by the collagen mask, and finally, application of a soothing moisturizing serum. The diamond peel was supposed to follow after, but I was in a rush that afternoon so we had it re-scheduled. 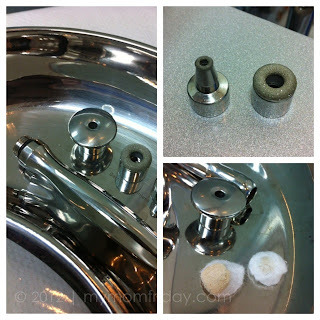 Gently exfoliates dead skin cells to reveal new and smooth skin. 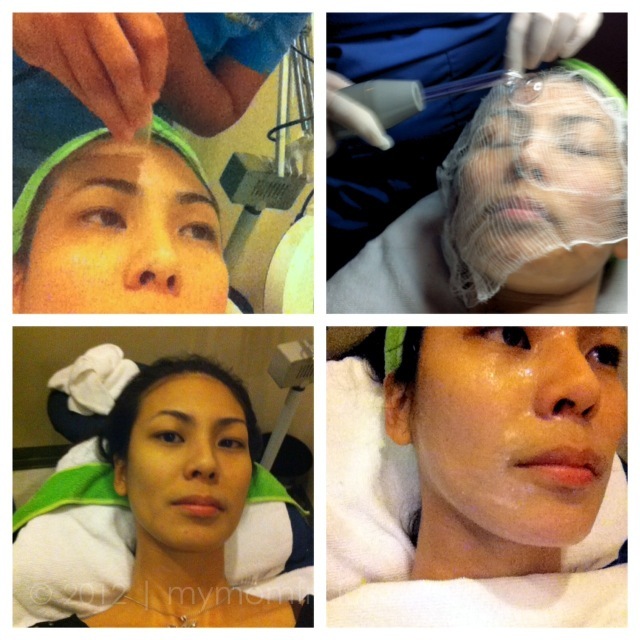 This non-chemical procedure eliminates post-acne scars, reduces dark spots, and other superficial blemishes. The procedure of choice to achieve the “no make -up” look. 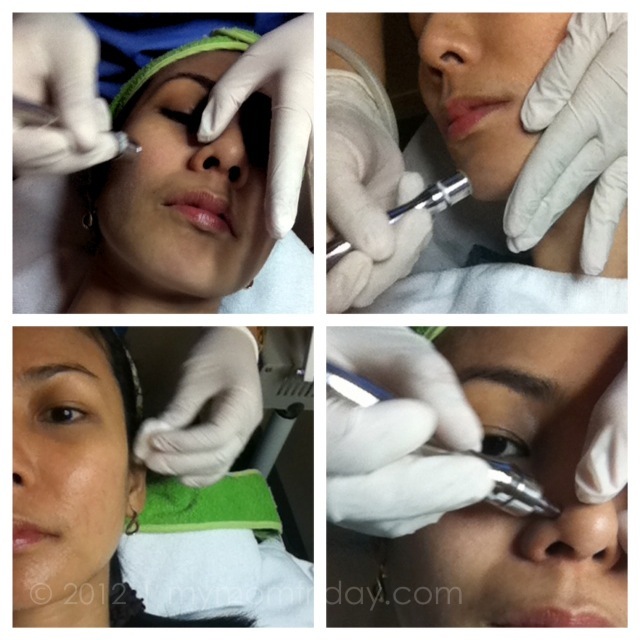 This may be combined, under the doctor’s supervision, with our signature facials. 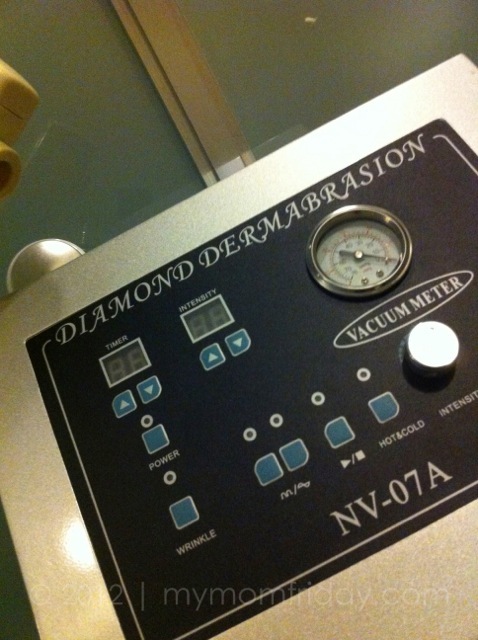 The Diamond Peel was a quick 40-minute treatment that's great for men and women on-the-go. And like most moms, I don't have the luxury of spending hours at a salon or clinic, so this procedure is really worth my time. I just can't wash my face for at least 5 hours since it's newly "buffed", hehe. A moisturizing sunscreen was applied as a final step. My skin appeared smoother and felt tighter. A monthly session is ideal to maintain that fresh healthy glow. I can get used to this! All I have to do now is eat healthily, drink lots of water, try to get enough sleep (I wish! ), find the right products for my (aging) skin, and treat myself to an occasional facial to keep my skin problems at bay. I also appreciate the fact that the doctor won't dictate what brands to use/buy or prescribe their own formulations. I had a bad experience with another derma before which left me with an empty wallet after my very first consultation and treatment. Intense pulsed light technology safely removes unwanted hair with minimal discomfort. The number of sessions, at four week intervals, is dependent on the hair type and area. A practical solution to weekly wax burns, ingrown hair, and razor cuts. 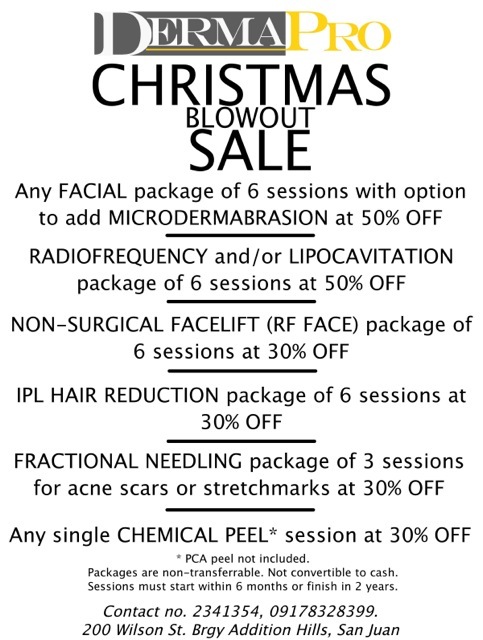 I'm taking advantage of the IPL discounted package as a Christmas gift for myself. Avail one of these special treatments for yourself too! How about you - what's your vanity level? Care to share your beauty secrets? If you're in the San Juan / Greenhills / Ortigas area, you might want to check out the clinic and give your skin a healthy boost. Like DermaPro on Facebook and get skin care tips and updates! Dr. Candy Tuliao and Dr. Feliz Palma have been friends since medical school. They were roommates during internship, and trained together in Dermatology. The doctors got married and were pregnant within months of each other. Their paths have been so intertwined it was clear that when time came to set up practice, they would do it together. 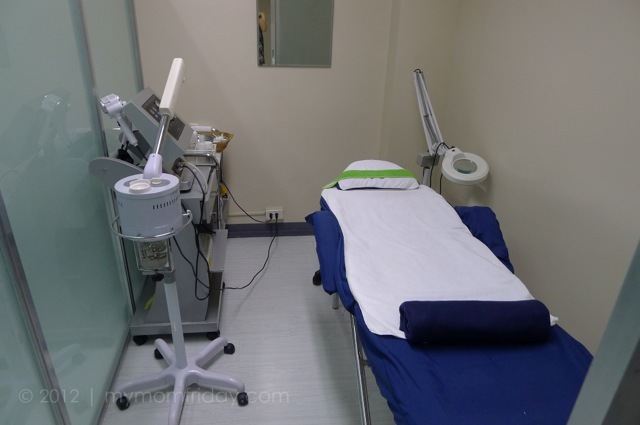 When they started the clinic, they considered some things as uncompromisable -- procedures would be performed by doctors that were board-certified by the Philippine Dermatological Society, of which both are diplomates. Other services were born out of personal experience, like the inclusion of an all-natural facial for pregnant and breastfeeding mothers.